This past year I’ve had a lot of bumps on my road to better health. The doctors have been running more tests, finding a few more problems and changing around a few treatment options. It’s left me feeling tired and sluggish, and I’ve even gained a lot of weight. My year started out with great intentions, but the counting calories thing quickly flopped. I knew I needed a better option. I have heard so many wonderful things about Trim Healthy Mama, so when I was offered the chance to review it by Moms Meet, I couldn’t wait to check it out! The Trim Healthy Mama Plan is the gentle and fun road to trim and healthy. It offers a unique way to lose weight and get healthy by eliminating sugar while still eating hearty, delicious food. I don’t know about you, but I tend to crave sugary foods – especially around my cycle and when I’m upset, and I really feel like this plan “gets me” and got that I couldn’t just jump in to something but rather needed to ease into it! The book includes menu plans, a list of super foods, time-saving tips, and pantry stocking and lifestyle advice to help readers reach their goals. I am so impressed with the information included. I feel like it’s written for a busy mom like me who doesn’t have a lot of time but needs to provide healthy meals not just for myself but my whole family. Really, though, the plan can be good for anyone whether you love to cook from scratch with the purest ingredients or you can barely boil water. It’s not just for crunchy, health food types, and you don’t have to be an exercise fanatic to make this work. I can definitely see why Trim Healthy Mama comes so highly recommended. This is not a count the calories, eat “diet food” kind of plan. It is a realistic, healthy plan for an overall healthy lifestyle that is attainable for any mom. What I love most, is that I don’t have to make completely separate meals. Family meal time is important for us, and although we could obviously still sit together for meals if I was eating something different it usually went something like this – prepare dinner for the family, serve dinner, make my dinner and by the time I would sit down to eat they were practically finished! 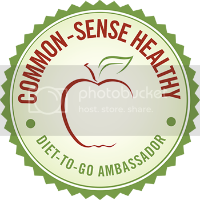 Trim Healthy Mama has laid out everything in a way that is so simple to understand. I feel like I have a good grip on things when it comes to health and nutrition (though my follow-through is surely lacking). I feel I still learned a lot of helpful information when it comes to nutrition! I think it’s perfect for those who are unfamiliar with health and nutrition or those that know a lot. There is really a wealth of information! Trim Healthy Mama focuses on what food really is – fuel. Our bodies need fuel and providing the right fuel is key. That’s what it’s all about. They break down everything into two types of major fuel types and go into details on how to build meals around them. Not only do they say how to do this, though, they also say why. So if you’re someone like me that wants to know the “why” behind things, it’s included! Trim Healthy Mama has so much information about food in general – how it fits into the Trim Healthy Mama plan, how it can affect our bodies, foods that are obviously not good for us, foods that aren’t good for us (but we may think they are), beneficial foods and drinks, superfoods, specialty foods and more. Going out to eat? They have information on making good choices when dining out as well! In addition to a wealth of nutrition information, the Trim Healthy Mama Plan has tips for overall healthier living. It talks about exercise and listening to your body. It is very realistic and positive. Plus, they discuss the personal care products we use because, as I have shared many times, what we use on our skin can be absorbed. This is why we only use (and why I promote) natural products. I was elated to read that chapter! Although the Trim Healthy Mama Plan lays everything out so you can make the foods you love, I am so glad they offer an amazing cookbook as well with over 350 healthy recipes! Each of the main categories are then broken up into sub categories so recipes are easy to find. At the beginning of each main category it shows all of the recipes with a color (or colors) next to it to indicate what type of meal it is according to the THM plan. On each recipe it notes directly under the title if it’s a Single Serve or Family Serve recipe. If it’s a Family Serve Recipe it notes how many it serves and by how much you need to cut the recipe if your family is smaller. We are a family of five and most recipes note to be for a family of 6-8. I still make the full recipe and save the leftovers (if there are any). It’s not uncommon for our family to eat it all – it’s food they will all eat! What surprised me, though, is this isn’t just a book of recipes, though. It has a fantastic introduction that details serving sizes and portions, the plan, why there is no “dessert” category, tools for your kitchen, special mention foods and useful information like abbreviations and measurement terms. Overall, I think the Trim Healthy Mama Plan is fantastic! It is a realistic plan that any mom can follow. It’s not a diet plan but rather an eat smarter plan. It’s full of helpful information, and I am on my way to better overall health. I already feel better because I am fueling my body like I should and have started losing weight again. The cookbook definitely helped to jump start my new journey following the Trim Healthy Mama plan! Would you like to win the Trim Healthy Mama Plan book and Cookbook? I’m even throwing in a $25 Whole Foods Gift Card to help you get started! This giveaway runs through 11/23/15 at 11pm Eastern Time and is open to US residents ages 18+. Enter the Giveaway Now! I also keep hearing great things about this weight loss book/cookbook. I can see why now. I’ll have to take a closer look at these books! I like the idea of reducing sugar for weight loss. It’s definitely a good idea. I really like these newest books better than the original. Especially the cookbook! I especially love the “extras” like chocolate sauce, marshmallows and “peanut junkie butter”! Thanks for sharing! I’m not familiar with the original books, so I love to hear a comparison! I so agree with your review. The fact that it is so “doable” and I don’t feel deprived makes it a winner! And, you don’t have to be overweight to enjoy this lifestyle. It’s good for anyone to be eating healthy and actually feeling good! I agree! I think it’s good for anyone! Weight isn’t the only factor that determines health. I have always had high cholesterol even when I was actually underweight. I ate terribly! For me it’s about being at an ideal weight AND healthy. i love the idea! thanks for sharing this. I think Trim Healthy Mama is the most amazing plan I’ve ever learned about for health and weight loss. It’s doable because there is next to no limits on the rewarding foods a person gets to indulge in, and the science behind it all is undeniable. I love it! I love the review. I’ll have to take a closer look at these books. I really like your review. I would like to know more about the books. I like that the plan actually seems doable, and you wouldn’t feel deprived on it. Sherry Conrad recently posted…Winning contests, sweepstakes and giveaways when you have limited time. I know a mother who is still trying to get rid of the pregnancy weight who I will mention this plan to. I really agree with you! Thanks! This looks like a great plan, thanks for the review. I have bought this books and they are great, once agan thanks for this post.